The new Shanghai History Museum will display 1,000 exhibits telling the history of Shanghai. The largest exhibit, according to architect Tang Yu'en, is the building itself. On a spring day 85 years ago, A.W. Burkill, chairman of Shanghai Race Club, laid on behalf of his wife the cornerstone of the new stands and clubhouse at the Bubbling Well racecourse. The stone can still be seen on the facade of the building which will reopen next week (exact date to be announced today) as Shanghai History Museum after years of preparation and restoration. 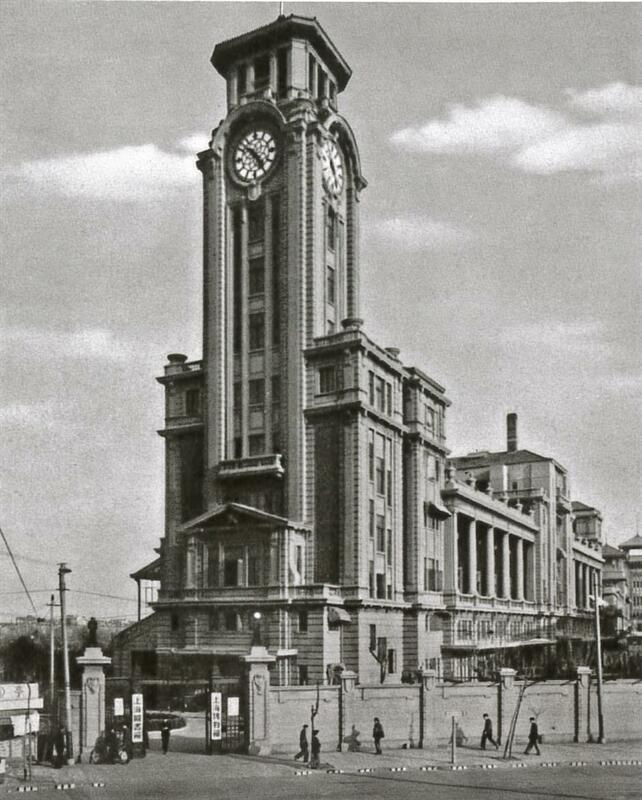 “The building was built as Shanghai Race Club, which underwent changes and was used as Shanghai Museum, Shanghai Library and Shanghai Art Museum. This is a monument that mirrors the history of Shanghai,” Tang says. When completed in 1934, the structure was described as “the finest and most luxurious in the Far East” by the China Press newspaper. Tang says it is a typical club building, a unique genre of architecture in old Shanghai, which served as a social center for expatriates and showcased Western culture’s spread to the Far East. 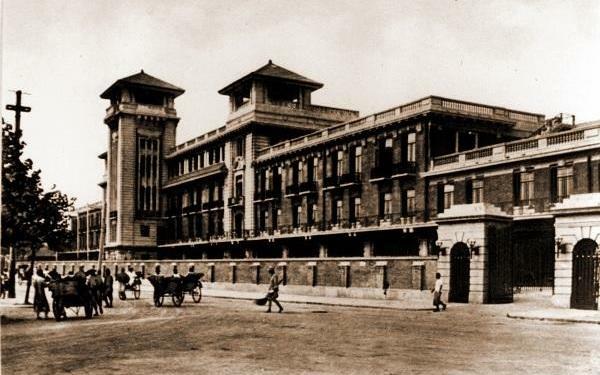 Several countries established their own clubs in Shanghai at that time, including Britain’s Shanghai club and Germany’s Club Concordia on the Bund, an American club on Fuzhou Road and two French clubs which are today’s Science Hall and Okura Garden Hotel. “It was rare for a Chinese city like Shanghai to have such a congregation of foreign club buildings in the downtown area. With a variety of inner spaces for multiple functions, these clubs served as high-end social centers, offering their members different services ─ from bars, restaurants, billiard rooms to reading rooms,” Tang says. “On the ground floor are betting facilities for members and guests. On the first floor are recreation rooms, reading rooms, members’ coffee room, guest rooms and card rooms. The upper floors contain two badminton courts, two English and four American-style bowling alleys, several squash courts and residential flats. The pavilion is made to accommodate a large number of spectators under one roof." Tang says foreign club buildings, which differed from commercial architecture, were often designed in a more relaxed country style or in a style similar to the nation’s traditional architecture. Today, the race club is called the “east building” because the museum compound has a “west building,” a former stable built in the 1920s which has been restored as an exhibition hall. Tang says both buildings have beautiful proportions and feature the British neoclassical style popular at the time. Unlike the sumptuous financial buildings on the Bund, the two race club buildings are in a more simple style. “Instead of using a lot of stones, the architect combined red bricks with Shanghai plaster which was more economic,” Tang says. “I was amazed at the superb skills of Shanghai craftsmen who created many beautiful details with plaster and imitated stone effects successfully. There are also delicate cast iron decorations. The east building has such a beautiful, lively shape whose silhouette has become a landmark of Shanghai,” she adds. 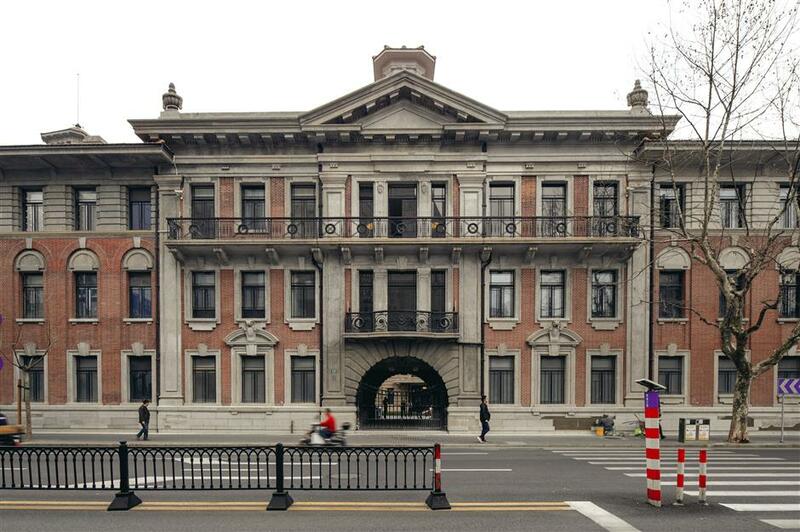 The former Shanghai Race Club building will reopen next week as Shanghai History Museum after afters of restoration work. 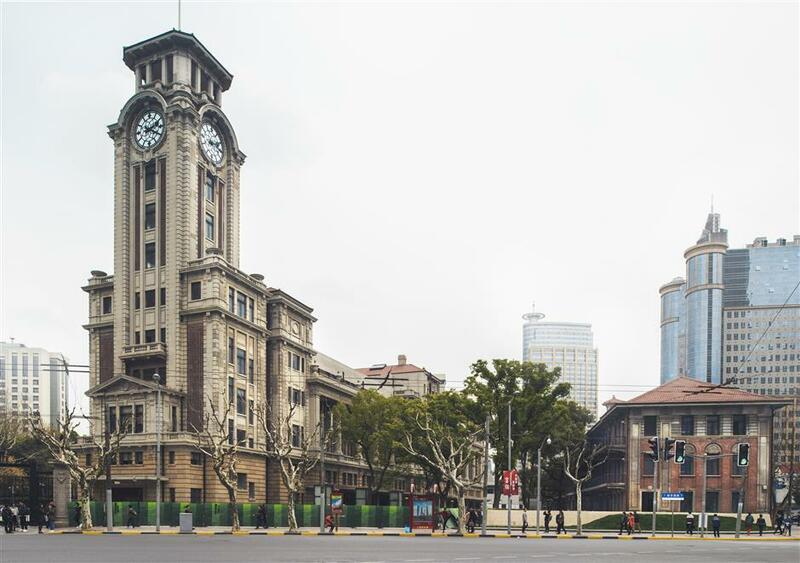 The facade of the west building on Huangpi Road N.
Tang says the building is ideal for a cultural venue popular with Shanghai citizens no matter if it was as a library, an art museum or the soon-to-be history museum. But it took years for former curator Zhang Lan and his team to secure the historic building which became vacant only after Shanghai Art Museum moved to the China Pavilion after World Expo Shanghai 2010. “Before this building was available, we had several plans and choices for the museum’s new home ─ from the former Shanghai Municipal Council building on Hankou Road, the old Shanghai Natural History Museum on Yan’an Road to the former HSBC building on the Bund, Yangpu Water Plant and the Urban Footprint Pavilion of Shanghai Expo,” recalls Zhang, who took on the job of building the new museum in 2007. “These plans all failed due to various reasons such as building size, parking places or relocation costs. Finally the art museum became vacant. It was a bit small, but we have carefully selected the best exhibits to fit into the place,” he says. 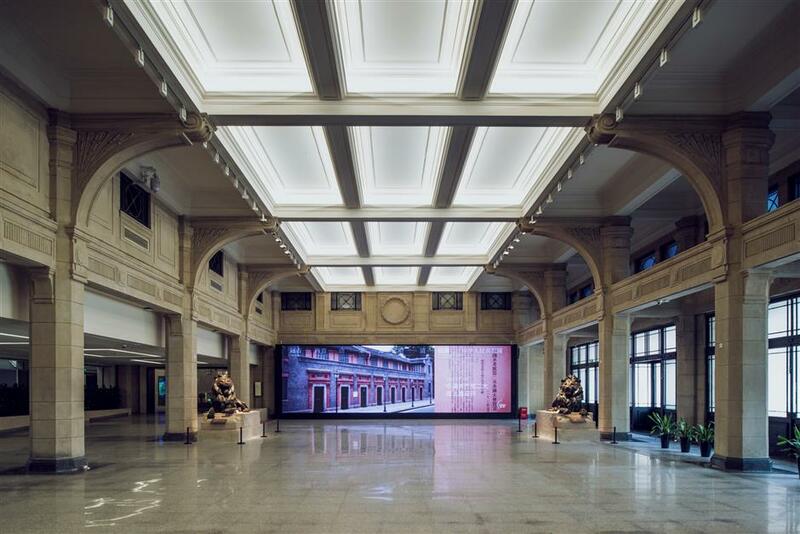 The history of the race club building dates back to an exhibition hall of historical documents of Shanghai Museum in the 1930s and later a Shanghai history section organized by the city’s cultural relics management committee. Without a permanent display space for decades, the museum had to host exhibitions in various places and, more recently, inside the Oriental Pearl TV Tower in the Pudong New Area. The restoration project for the new home kicked off in 2016 and was completed some months ago. “It’s a unique project because we built a museum inside a historical building, so preservation came first. It took great efforts to fit new functions of the museum into an old building,” Zhang says. The highlight of the restoration is the display of some hidden original parts, such as the exquisite caisson ceilings and brick walls. Ornaments shaped like horses’ heads have been carefully restored. The original bell on the tower top will give time to the Nanjing Road area. The cornerstone laid in 1933 can still be seen on the facade of the building. 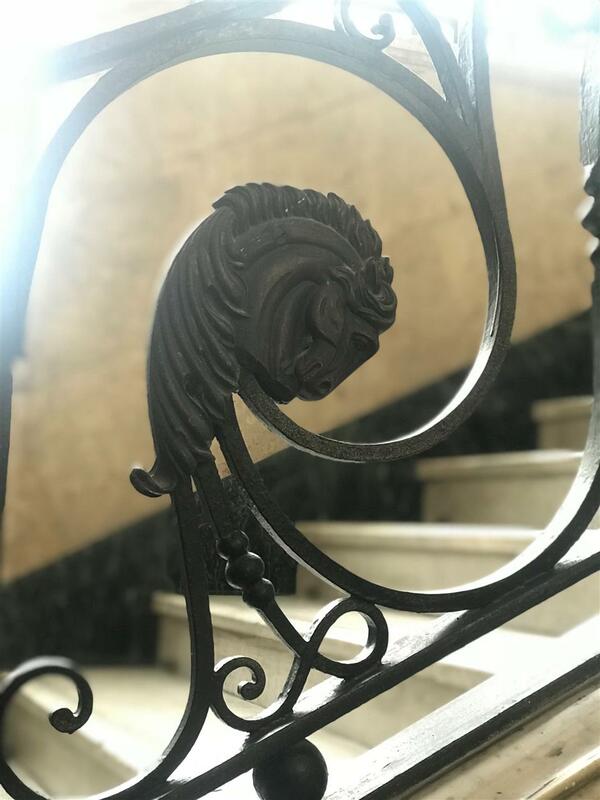 Architect Tang says a galaxy of architectural details, from decorative sculptures on the verandas and wooden dados to ornaments shaped like horses’ heads have all been carefully restored according to historical and field surveys. Her team cleaned and used original materials as much as possible to repair the building. The design plans were revised several times as more historical details were discovered. 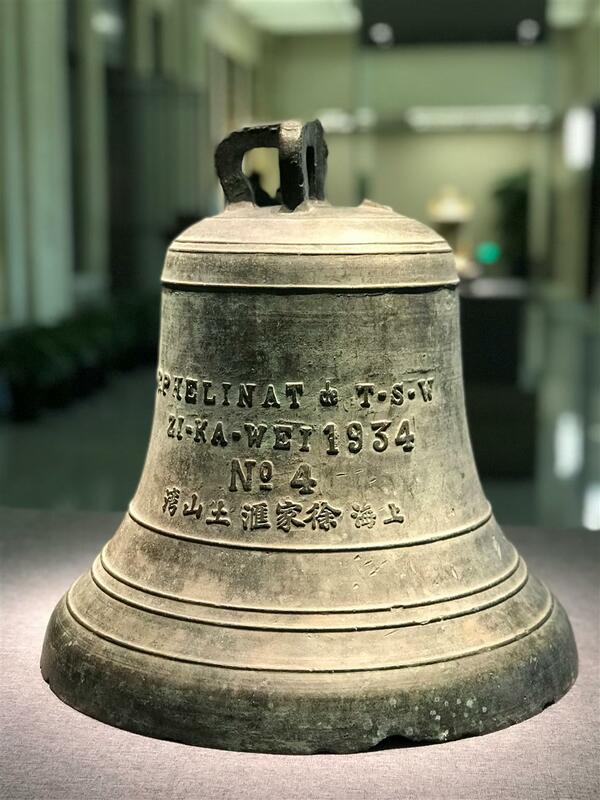 “The restored bell on the tower top will work and give time to the Nanjing Road area, just like the bell tower of Custom House on the Bund. The principle of my work is to first respect old buildings which contain historical and artistic values, and then use them in a scientific way. So that they can be sustainably used and live in a new era with dignity,” Tang says. 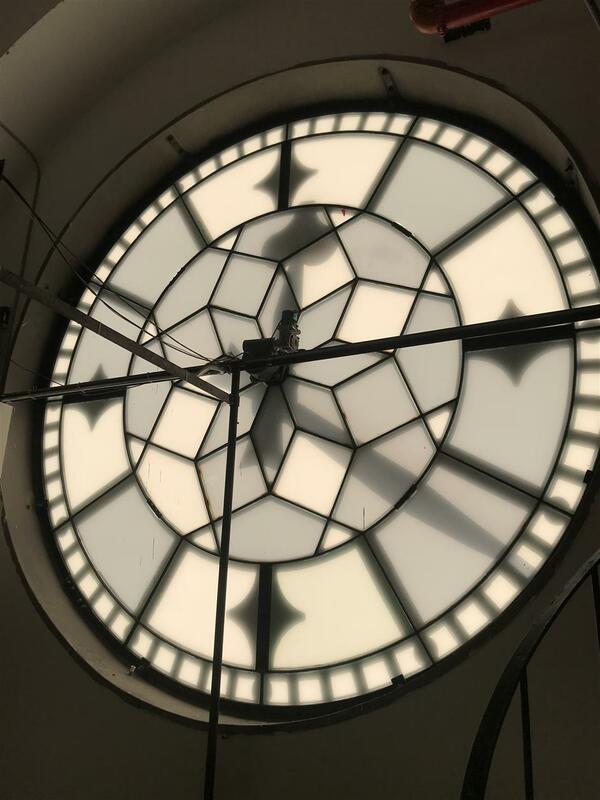 Though in a historical building, Shanghai History Museum is equipped with modern facilities such as temperature- and humidity-control systems, escalators, comfortable lighting and anti-reflective glass to ensure a pleasant visit. Most of the exhibition content is child-friendly and interactive. The east and west buildings are now linked by an underground corridor while the space between them will be turned into a garden with the original tall trees preserved. After the official launch, the east building will host mostly permanent exhibitions on Shanghai’s ancient, modern and revolutionary history while the west building will open with two temporary shows ─ one about the museum’s architectural history and the other on Chen Yi, Shanghai’s first mayor after 1949. “This museum is not only for experts and researchers, but for everyone interested in Shanghai. I hope it will be a place where young people can learn, the middle-aged can relax and more elderly visitors can enjoy some nostalgia,” says Zhang. 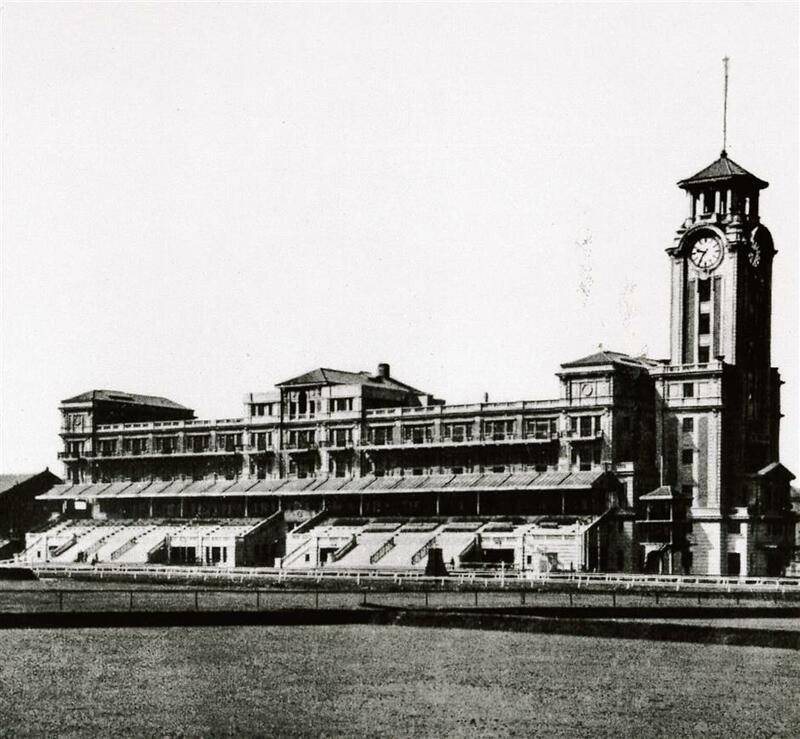 In 1933, Burkill said the laying of the foundation stone marked a new epoch in the history of Shanghai Race Club. 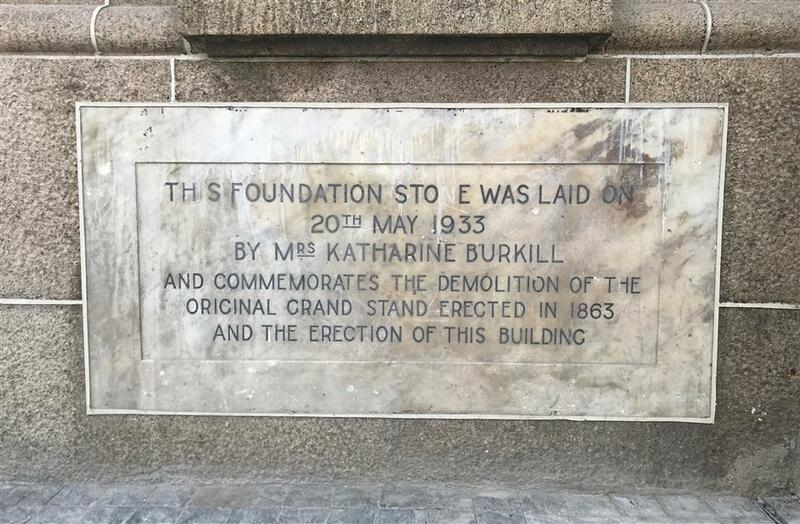 Now the building will soon mark the beginning of another new epoch in the city’s history. Address: 325 Nanjing Rd W.
Tips: The museum opens daily, except for Mondays, from 9am to 5pm (no admission after 4pm). The lobby of the museum displays two lion sculptures which were previously placed in front of the HSBC building on the Bund.